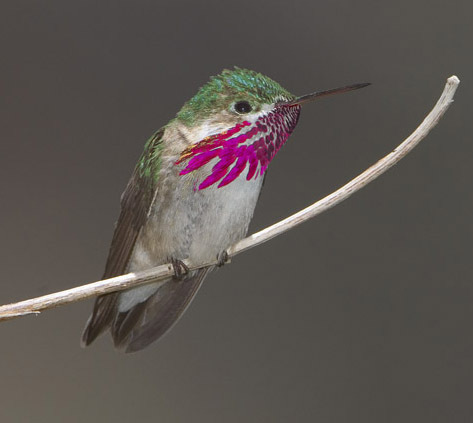 Calliope hummingbirds are the smallest hummingbirds (and thus, the smallest birds of any kind) in North America. 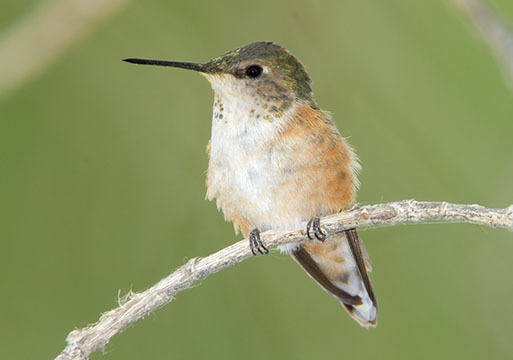 They are summer residents in mountain meadows in the western US and Canada, departing south for the winter. 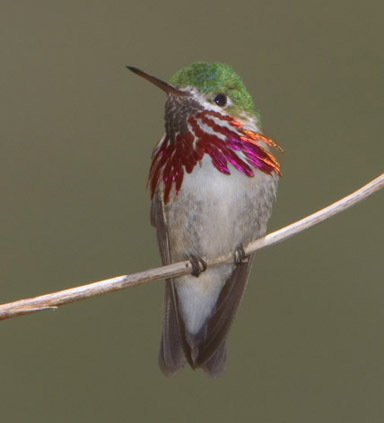 Male calliopes have a spectacular striped gorget that shows (depending on the light) in bright rose-pink, orange, or scarlet. Unfortunately, the gorget only 'illuminates' when the light is coming from the correct (and rather restricted) direction, so it's difficult to get a good image of the full effect. Neither of these really matches what I saw through the viewfinder: the one at left is too dull and the one at right (with red saturation boosted in Photoshop) is too intense. 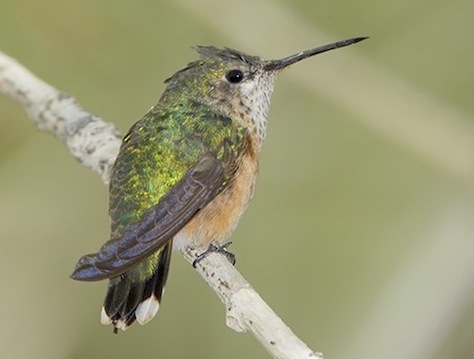 Calliopes are not easy to find and the only location where I've seen them consistently is in McGee Creek in the eastern Sierra (Mono County, California), where I took the pictures of males. 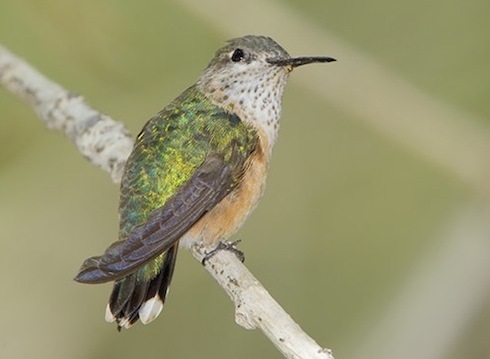 The female below was a migrant passing through Big Morongo Reserve in southeastern California.